Compact Fluorescent Lamps or CFL's have received much attention as an energy efficient alternative to incandescent lighting. 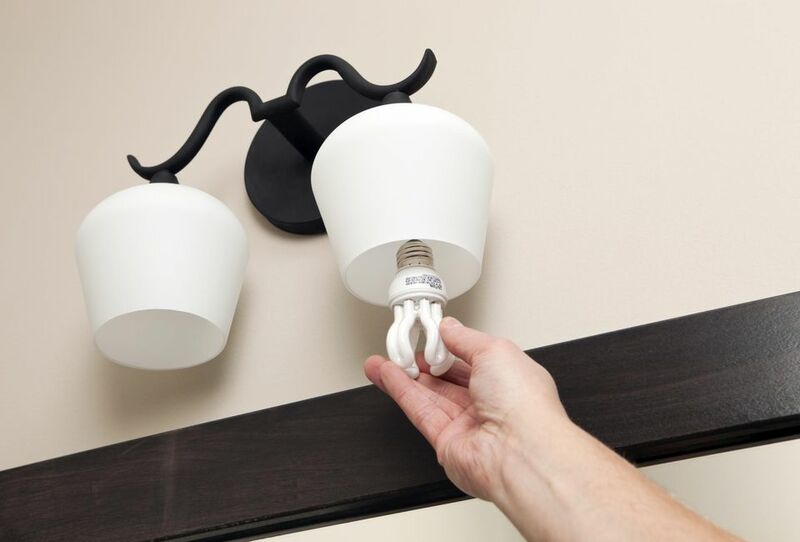 Although these lamps are more energy efficient, increased use has caused concerns as people learn about their mercury hazards and what's involved in cleaning them up if they break. It's no surprise that many people are becoming more, well, surprised about CFL's since they are touted as being clean, green, lighting machines. Even the Environmental Protection Agency (EPA) program ENERGY STAR touts these lights as safe and clean. Safe and clean? Nothing could be further from the truth. The problem? Well, CFL's contain a neurotoxin called mercury that gets released when the bulb breaks. Mercury exposure has adverse health effects. Since mercury vapor is essential to CFL operation, CFL's are considered a hazardous material when they break and cannot be thrown away. Quite frankly I think it is unfair and confusing to consumers that we are told CFL's are safe by the marketing material at ENERGY STAR but then the EPA has a 12 step program for mercury clean up if they break, including evacuating the room and opening the windows! "Mercury is an element found naturally in the environment." Great, sounds natural, like water. "It is not uncommon for children to break fever thermometers in their mouths. Mercury that is swallowed in such cases poses low risk comparison to the risk of breathing mercury vapor." Hey, I don't care if you think CFL's are great or not, I only care that you know the facts, not just the hype. So that you understand what is involved in the safe clean up of these bulbs when they break, I'll outline the recommended clean up procedure as developed by the EPA. Check with your local or state government about disposal requirements in your specific area. Some states prohibit such trash disposal and require that broken and unbroken mercury-containing bulbs be taken to a local recycling center. The next several times you vacuum, shut off the central forced-air heating/air conditioning system and open a window prior to vacuuming. CFL's depend upon mercury vapor to work. According to the EPA, the following are some health risks of exposure to mercury and mercury vapor depending upon levels of exposure. Elemental (metallic) mercury primarily causes health effects when it is breathed as a vapor where it can be absorbed through the lungs. These exposures can occur when elemental mercury is spilled or products that contain elemental mercury break and expose mercury to the air, particularly in warm or poorly-ventilated indoor spaces. The first paragraph on this page lists the factors that determine the severity of the health effects from exposure to mercury. Symptoms include these: tremors; emotional changes (e.g., mood swings, irritability, nervousness, excessive shyness); insomnia; neuromuscular changes (such as weakness, muscle atrophy, twitching); headaches; disturbances in sensations; changes in nerve responses; performance deficits on tests of cognitive function. At higher exposures there may be kidney effects, respiratory failure and death. People concerned about their exposure to elemental mercury should consult their physician. Is It Hard to Pass a Homeowners Electrical Exam?